ROAD TOWN, Tortola, VI – Three years ago Former Magistrate Charmaine R. Rosan-Bunbury was removed from office as the Crown had taken legal action against her but a tribunal had in May 2012 found no wrongdoing on her part and had advised that she be returned to office. Up to today that order has not been carried out. Virgin Islands News Online today spoke with Mrs. Rosan-Bunbury who said that it has been exactly three years since her life and career were hit by a snag and she is still in the process of trying to get back on her feet and expecting the Governor to carry out the order of the Tribunal. Mrs Rosan-Bunbury said that it was not until this year 2014, that she became aware of the findings and ruling of the tribunal. She said that she was never contacted or otherwise informed of this decision but would wish that the Governor honours the ruling. 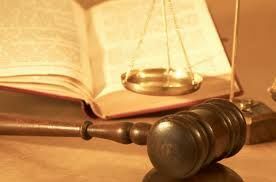 “I was interdiction from my office as Magistrate on May 4, 2011. The public has not heard much of the matter and its resolution,” she told this news site. When asked how life is three years later, Mrs. Rosan-Bunbury’s response was that things have not been easy following what she terms her unjust removal from Office. But she said she continues to persevere. Mrs. Rosan-Bunbury said she is the principal at Rosan Law located in the Mill Mall, Road Town, Tortola. She said she is making efforts to mitigate her loss but said it is not easy based on the shadow that was placed over her reputation and the unsettling circumstances surrounding her removal from Office. Mrs. Rosan-Bunbury has intimated however that a Tribunal sat on April 18, 2012 to determine the charges levied against her. She said that the charges of insubordination to the Deputy Governor V. Inez Archibald, former Magistrate Valerie Stephens-Gordon and Permanent Secretary, David D. Archer were dismissed. The Attorney General decided to withdraw and not pursue the accusations of insubordination. “A number of other charges were however substituted and leveled against me which the Tribunal decided on. But the Tribunal concluded that I had done nothing to justify my removal from Office. The Tribunal ended my interdiction and directed my immediate return to the Office of Magistrate. This decision of the Tribunal of which the Governor was informed was made since May 14, 2012,” she said. Mrs. Rosan-Bunbury said that she has not yet been returned to Office and that the decision of the Tribunal was withheld from her for almost two years. While I disagree with how this matter was handled Mrs. B....ry had little respect for her office and thus is partly to blame for setting things in motion. To Mark, you must be one of those posh lawyers who came to the BVI and got so all brand new. well send them go, thats all. 'I AM NOT A RACIST"
So what message is this sending to the young people? That is right virgin gorda. It could have been sooner, if the people had listen to Hon Fraser last year when he called for the NDP to be removed but he was mocked and laughed at. Now the people are paying the price for their folly. I am glad to hear this news today, it was always my believe that there was some high level of biasness going on. What I cannot understand is why the governor has not signed off in allowing her to go back to her job. If a tribunal find no wrong doing, then the governor should comply, unless he is having doubt of how we will look if he does. I read the comment about " she disrespect the tribunal by not showing up" there is always freedom in choices, to exercise a strong decision in doing so allow others to respect you, unless others cannot see so, its call Critical Cognitive theory. Another comment " she disrespect her office" come on people! How many powerhouse women working in that office. The will but head sometimes, they will not see eye to eye, but as professional one of them must be humble enough to call her and speak gentle with her. It is not reason enough to get someone fired, no, what would others now thing of those who allow this who thing to get this point. Another thing I want to say. Since two years it was found no wrong doings, so who is paying her since, there have to be some monetary supplement for those years that she was out of earnings. Send Dr. John home and give the woman back her job. She should be compensated, from the time she was let out of office to the day she will be installed. This is not only biasness, but a withhold of the principles of moral value. No human should hurt another and think it is okay. If the governor do not want her there then pay her and let her go. It's amazing to see the level of how professional deal with business. The lady is an honorable citizen of Her Majesty,the Queen,who served her country in many areas of law.We the citizens and residents must be proud of our BVI people. A legally,lawfully and constitutionally instituted tribunal found that Mrs Bunbury had committed no offence,therefore,unless the crown wishes to appeal its own decision,then Mrs Bunbury must be reinstated in the public service. And His Excellency the Governor is the chief custodian of Her Majesty's V.I Constitution. So why the delay in returning Her Majesty's Citizen to Her work?